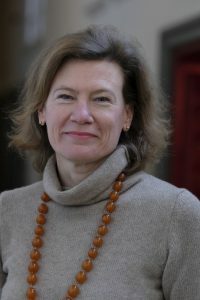 Prof. dr. Valentina Mazzucato is Professor of Globalisation and Development at Maastricht University, one of Ceres’ institutional members. She is specialised on transnational migration between Africa and Europe. You are working in the field of International Development. Can you describe your professional niche, and/or the issues you are particularly interested in? VM: I study what is called transnational migration. What that entails is trying to understand different phenomena related to migration from the perspective of the linkages that migrants maintain with their home communities when they migrate overseas. I particularly focus on African – European migration. What is, in your opinion, the foremost challenge of International Development today? VM: The biggest challenge is that we need to start thinking beyond development. Both in terms of the practice as well in terms of study. Development as a practice is always about a process in which there is to a certain extent an outside actor intervening on a local process. Even if you use new terminology like participatory development or trade not aid, it is still related to outsiders who have interests, coming in and doing something: intervening. We should move away from this practice and focus. Do you feel that the field of International Development is moving? VM: I do not think we are moving on. Actually, we are choosing different disguises. Instead of ‘development’, we talk about ‘trade versus aid’ now. We claim that this is a more neutral or equal way of working in developing countries. But, if you go into the nitty gritty of all kinds of trade agreements under this number, you see that this is not the case. For example the flower industry in Ethiopia in which all kinds of agreements are still guided by huge interests of Dutch companies. So, even if we might call development something different now, it is still this act of outside bodies with an interest coming in and intervening locally. We need to move beyond that. We need to find other ways. What other ways are you thinking of? VM: I think that as researchers what we need to do is to study how people are organising these processes locally. Besides we should be using different terminologies. Why is it that when an African woman mobilizes resources to help vulnerable people in her community, we call it development work. But when a Dutch woman mobilizes resources to help women in her community, we might call her a ‘social worker’ for example? What we need to do is start recognizing that very similar phenomena are happening in different parts of the world. If you could give an advice to Master- or PhD students. What should an ideal thesis topic or research be about? VM: The growth of the middle class in developing countries really presents a lot of potential for people from within a particular society to mobilize resources in order to help more vulnerable people in their society. I would be really interested in studying what are, for example, African middle classes doing to mobilize and create some kind of improvement of vulnerable people’s lives. And do these processes of social improvement work differently from what we called ‘development programmes’ where there is a certain way of outside intervention? Which IDS specialist in the Netherlands do you think is particularly exciting, and why? VM: I think the one person who is doing very exciting research is Rivke Jaffe (University of Amsterdam). I don’t think she identifies herself as an IDS specialist and that is exactly why I mention her. She personifies the idea that we need to move beyond the concept of development. We should rather try to find similar phenomena across the globe and try to connect concepts and theories between Global North and South. That is what Jaffe does in her research. For example in her study on security regimes, she studies gated communities in Florida, Kenya, Israel and other countries. She has identified this phenomenon that takes place in different parts of the world, compares them and studies how these processes of securitisation work in a different context. Jaffe is not a development scholar, but she would definitely be recognized as someone in the development field. Researchers like Jaffe are the really interesting people. Their focus is the way forward for IDS: multi or interdisciplinary and multilocational. One final question. What would you like to ask the following expert in the field of IDS who will be interviewed in the next newsletter? VM: What would you say is the future of International Development Studies? If IDS should not just be about developing countries, how should we define the field?